KANSAS CITY, Mo. 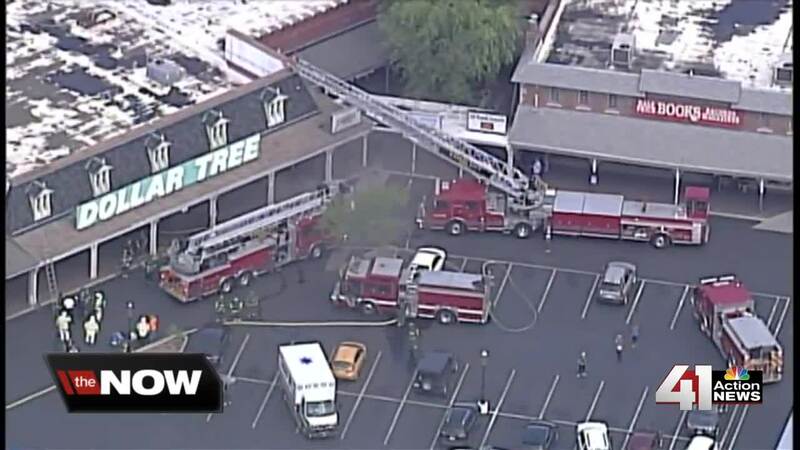 — Firefighters with the Kansas City (Missouri) Fire Department battled a two-alarm fire Friday, Aug. 17, at the Dollar Tree in Westport. The fire broke out shortly after 11 a.m. inside the storage room at the Dollar Tree. At the time, three employees and two customers were inside. "I was actually shopping inside of Dollar Tree and I was actually next in line," Tamica Sanders said. While waiting for her turn in line, Sanders said she heard an employee say there was a fire, but said nobody rushed outside. "Didn't see any sprinklers go off; couldn't even smell anything," Sanders said. When firefighters arrived on the scene, they were unsure what started the fire or why the sprinklers inside the strip mall did not go off. "There should be sprinklers and I'm not sure what happened with that, but the building should be sprinklered by code," KCFD Public Information Officer James Dean said. It took crews about 40 minutes to get the fire under control. Firefighters were able to contain the flames to the storage unit, but smoke and water damaged nearby businesses. Hours after the fire occurred, hair stylist Trae Smith surveyed the damage inside the hair salon he works at next door to Dollar Tree. While Smith showed 41 Action News around Evolve Salon, puddles and ceiling boards could be seen on the floor while shattered glass from broken windows remained outside. With the salon now likely to be closed for at least two months, Smith said the aftermath of the fire brought plenty of uncertainty. Steps away from Evolve Salon, other closure signs could be seen on nearby businesses. The folks at Pride Cleaners had to close for the day due to the amount of smoke. "It's a long building with high ceilings, so the smoke is still in the ceiling," Pride Cleaners store manager Nick Sola said. Sola had to stand outside the store, where it was easier for him to breathe. "They're bringing in fans, an ozone machine and all that," he said. Pride Cleaners plans to reopen at 8 a.m. on Saturday. 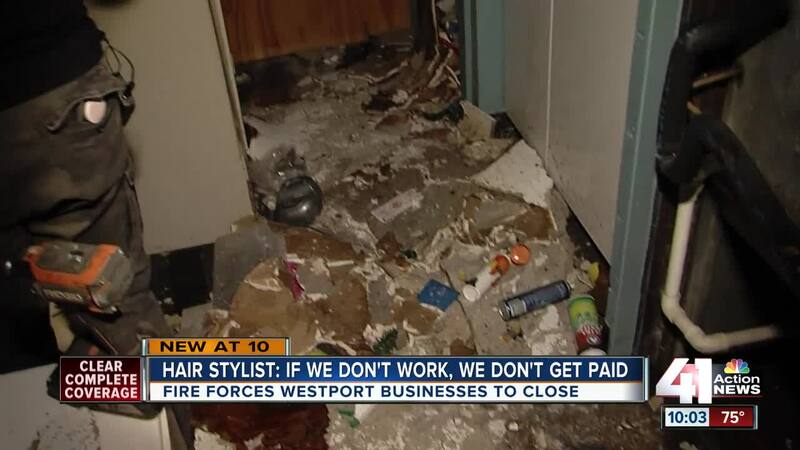 Evolve Salon and All Roads Imports also had to close their doors and are among several Westport businesses that will have to make repairs and be inspected by the health department before reopening. Fire crews are continuing to investigate what caused the fire.